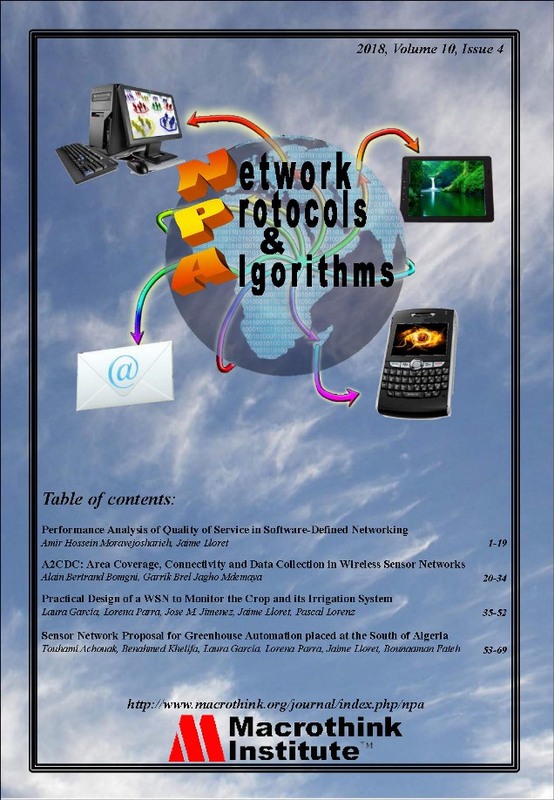 Network Protocols and Algorithms is an online international journal, peer-reviewed and published by Macrothink Institute. It publishes papers focused on network protocols, communication systems, algorithms for communications and any type of protocol and algorithm to communicate network devices in a computer network. The topics suggested by the journal can be discussed in term of concepts, state of the art, standards, implementations, running experiments and applications. Proposals and deployments are also welcome. 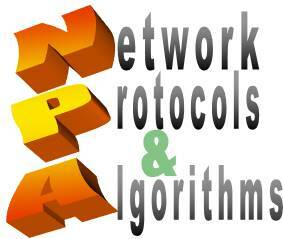 Network Protocols and Algorithms has linked its papers to references by DOI (Digital Object Identifier) numbers. The publisher and journal have a zero-tolerance plagiarism policy. We check the plagiarism issue using two methods: a plagiarism prevention tool (iThenticate) and a reviewer check. All submissions will be checked by iThenticate before being sent to reviewers. Google & Google Scholar, Bing, Yahoo and Ask.